Look for the Ohio Proud logo when you shop! 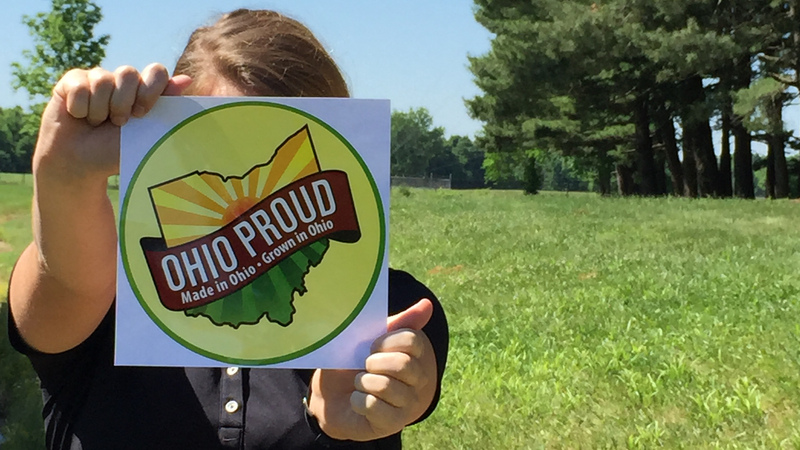 The Ohio Proud logo allows you to easily identify Ohio made and grown products at the point-of-purchase in your local grocery stores, farm markets and restaurants. Buy fresh, buy Ohio and support your local economy and number one industry – agriculture. August is Ohio Proud month! Look for special advertisements and displays at your local retailer! Look for Ohio Proud products at our Affiliate Members’ locations. These members support Ohio Proud partners by selling, distributing, or featuring Ohio made and grown products. Search by company name, category, county, or city for Ohio Proud partners and see their contact information and website to purchase locally made and grown products. Visit with Ohio Proud Partners at local events that are scheduled throughout the state of Ohio.